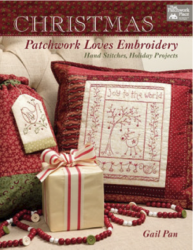 This series of classes will have you learning several stitches while making Pincushions from Hatched and Patched. Instructor: Lisa Benson- Cost $10.00 a class or $45.00 if you pay for all of them at once. A pattern with a wool kit will be required for each class. 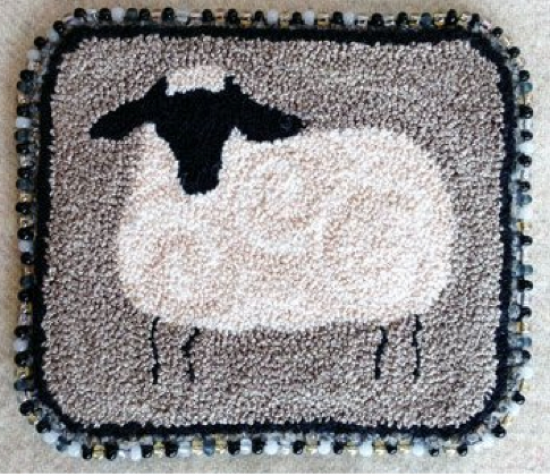 Each Pattern with Kit will be $9.00. Kits can be picked up before class so you can coordinate the threads you will need for the project. Scissors, Pencil, Chenille needle #24, sewing needle and Heat n Bond Lite required for class. 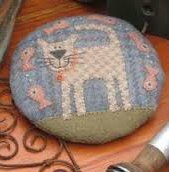 Constructing the pincushion can be done at home with your sewing machine. 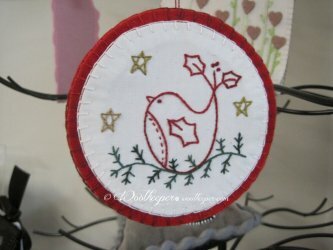 Lisa will demonstrate how to complete the pincushion when the hand stitching is completed. 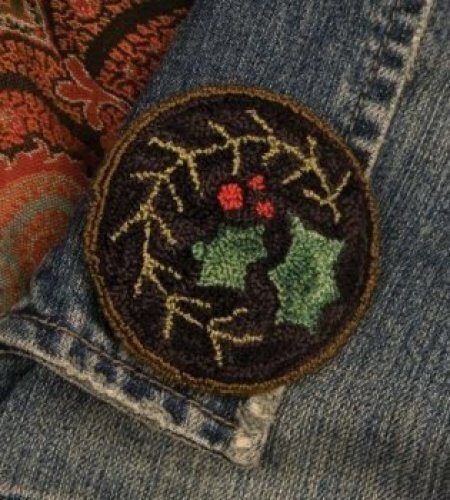 Stitches covered will be the Blanket Stitch, Back Stitch, Colonial Knot, Whip Stitch, Straight Stitch, Running Stitch, Lazy Daisy Stitch, Fly Stitch, Stem Stitch and Couching. 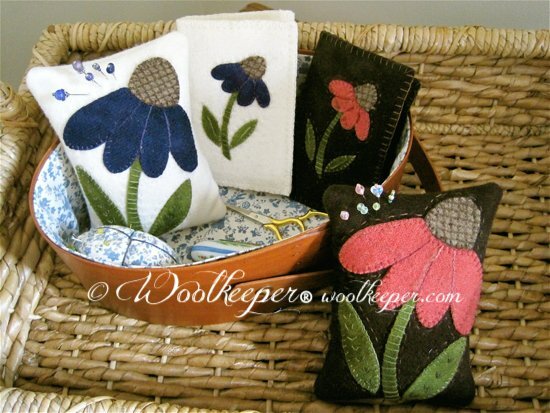 Samples can be seen at Woolkeeper.